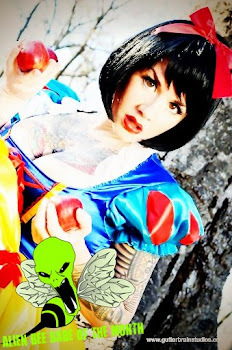 Straight outa Kentucky comes the new indie horror flick THE KILLBILLIES, catchy name aint it! I simply noticed one of my friends early this morning post something about this on her Facebook page and she's actually even in the movie so I had to share it with the AB army. I'm thinking The Strangers goes redneck but possibly a little more gory which adds up to some good ole horrorific fun! 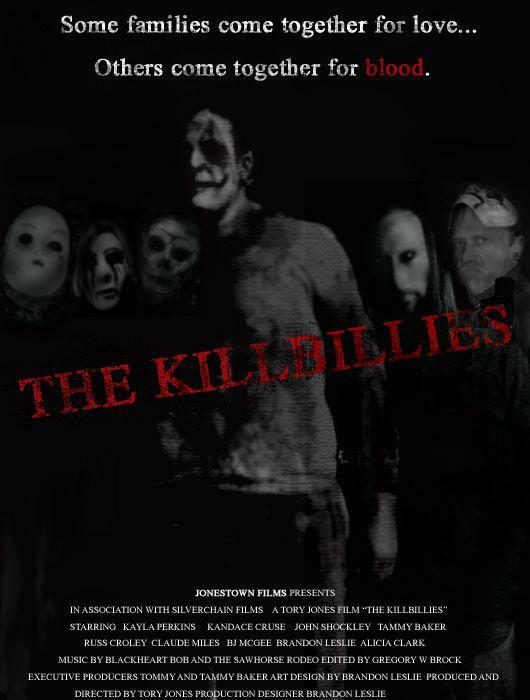 The Killbillies comes from Jonestown Films and Silver Chain Films, is written and directed by Tory Jones and has a cast that includes Kayla Perkins, Stacey Gillespie, Brandon Leslie, John Shockley, Russ Croley, Kimble Bewley, Cassidy Owens, Kandace Cruse, Claude Miles, David Haney and Tammy Baker. Based on True Events, In 2004 The Holbrook Family were planning for their annual Fall Homecoming. But they could not be prepared for the malicious and terrifying events that would be bestowed upon them that same evening. The events of the night would lead Cedar County Ky into a frenzy and forever come to be known as the night of the Killbillies. The Killbillies will premeire in Richmond, Ky on March 31st. Show times are 5pm, 7pm, and 9pm and there will be an after party. Pre sale tickets are $8 or $10 at door.